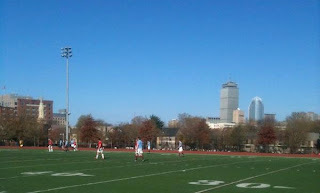 Saturday, Nov 10th BCS XI began the 2 leg playoff for promotion against OHP Gunners. Using Champions League style away goals the home and away series is set up for scintillating action. 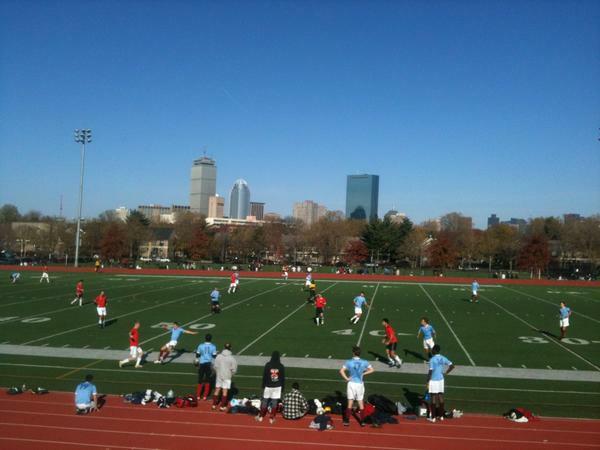 The Gunners lost out to the XI 3-0 early in the Spring during league play, and they certainly wanted revenge. OHP had a very strong Fall and finished very brightly including beating their top seeded rivals Holliston. 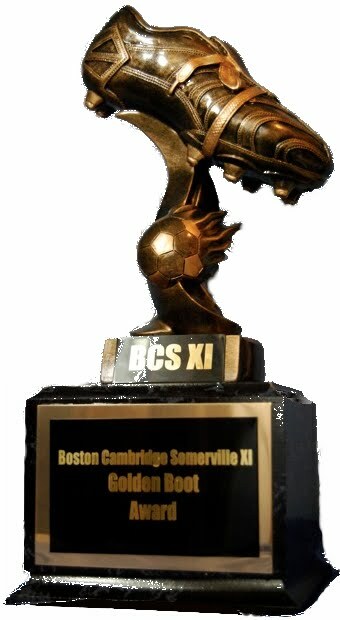 They were definitely coming into this match with the momentum as BCS had taken their foot off the gas in their final 2 regular season games once 1st place was secured. Ultimately the class of BCS XI shone through and the Claret and Blue were able to keep a clean sheet and 2 away goals, resulting in a very good position heading home to Dilboy Stadium on the 17th at noon. BCS tested the OHP defense early but after the first 5-10 minutes things settled into a typical midfield battle with chances hard to come by. Both teams like to knock the ball around on the floor and both are capable of doing so. But with a little over a quarter of an hour yet to be played Sia came on and the sub launched a curling shot from distance into the back of the net. 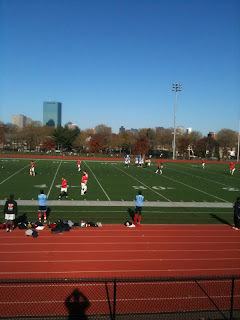 Despite some legitimately dangerous chances from the Gunners, the 2nd half was dominated by BCS possession. The XI registered a crucial second goal with seconds remaining in the match. A sweeping move up the field with beautiful, intricate passing saw Houdlette, Kodack, and Marco Moreira combine for a magnificent goal, a simple tap in for Marco. 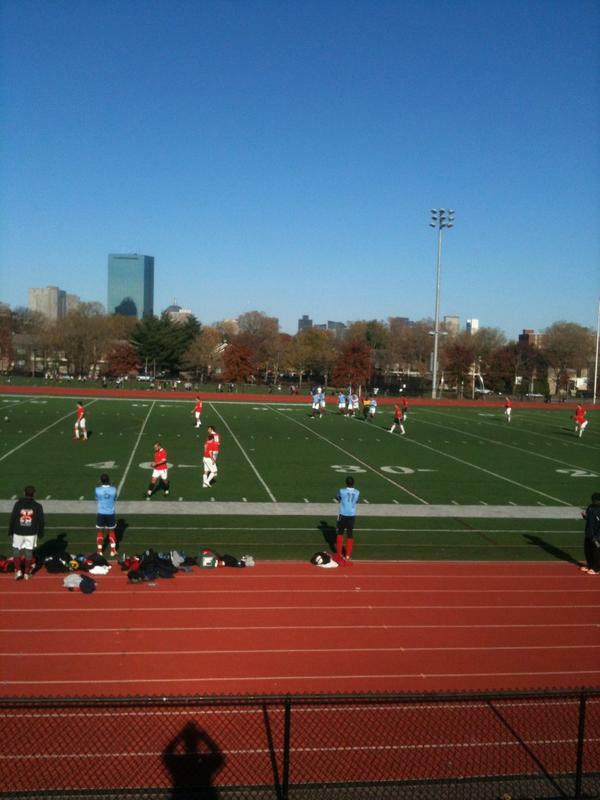 Now the Eleven look ahead to November 17th at noon for the second leg at Dilboy Stadium, promotion to Division 2 awaits!